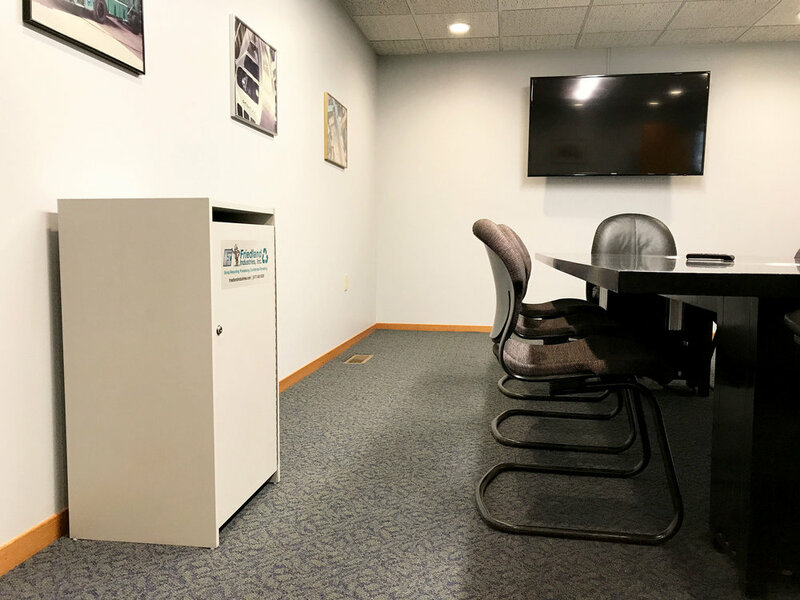 Confidential Shredding — Friedland Industries, Inc.
Friedland's secure document, hard drive and media shredding services are extremely affordable price, with fast lead times. We have both pick-up and delivered options, and our shredders meet HIPAA standards. Paper Documents: $2.50 per banker box or 13-gallon trash bag, with a $5 minimum. So if you have one box/bag, it's $5. If you have two, it's $5. If you have three or more, it's $2.50 per box/bag. Hard Drives: $0.10 / lb. with a $10 minimum charge. Media (CDs, DVDs, data tapes, etc. ): $0.15 / lb. with a $15 minimum charge. We can help with one-time purges and ongoing solutions. Here's some of our pick-up options! We don't provide them, but we pick up banker boxes and 13-gallon trash bags! For shredding consoles: $50 per pick-up for one console. Add $10 per pick-up for each additional console needed. For rolling bins: $50 per pick-up for one rolling bin. Add $15 per pick-up for each additional bin needed. Boxes / Bags: $50 + $2.50 per banker box and/or 13-gallon trash bag. We also provide discounts for referrals and areas with a high concentration of businesses, so again, give us a call at (517) 482-3000 or send us a message below for an official quote! Q: What happens to the material after it's shredded? Since we are also a scrap-recycling facility, all of the paper we confidentially shred is sent to paper mills for re-pulp recycling and turned into new paper. Similarly, the hard drives we confidentially shred are re-melt recycled at refineries. 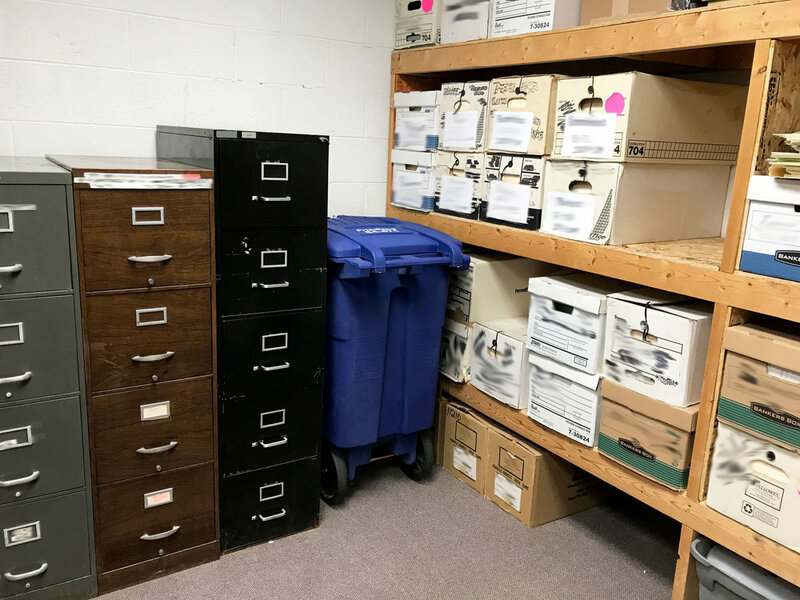 Media items such as CDs, DVDs, and data tapes do not contain enough recoverable content to merit recycling them, so they are landfilled after we confidentially shred them. Q: Do you provide on-site shredding? We do NOT provide on-site shredding at your location. We only shred at our facility in Old Town Lansing, MI. However, with every pick-up, we issue you our Certificate of Destruction, which shows the necessary chain of custody information you need to meet HIPAA requirements (i.e. date/time of pick-up, what type of material is being shredded, date/time of when the material was shredded, necessary signatures from driver, customer, and shredder operator). Q: Do you charge per pick-up or monthly/yearly? We charge per pick-up and schedule pick-ups on an on-call basis, so you only get charged when you actually have a full bin. However, we can schedule you weekly/monthly if that works better for you. Q: What are you lead times? So if you call in the morning, we can usually get you scheduled for the following day. If you call in the afternoon, it will likely be the day after that. For example, if you call on a Friday afternoon, we may need to schedule you for the following Tuesday. Q: How do you invoice? We will email you an invoice that will contain a link to a PDF version of your Certificate of Destruction for each pick-up in the notes section. There will also be a link on the invoice that will allow you to pay online with a credit card. You can also mail us a check, but now you have the option! Please call us at (517) 482-3000 or send us a message below for an official quote!